Have the choice to take the glass bottom boat, a water buffalo cart ride, or both of them at once! Very nice trip this time as rainly all the time during our vacation. Enough time for you to enjoy the trip. If ever you find yourself in the famous prefecture of Okinawa, Japan, it'd be wise to take half a day off to explore the humble island of Taketomi. This island is known for its pristine natural sights, glistening white sand, and traditional but charming Okinawan houses. 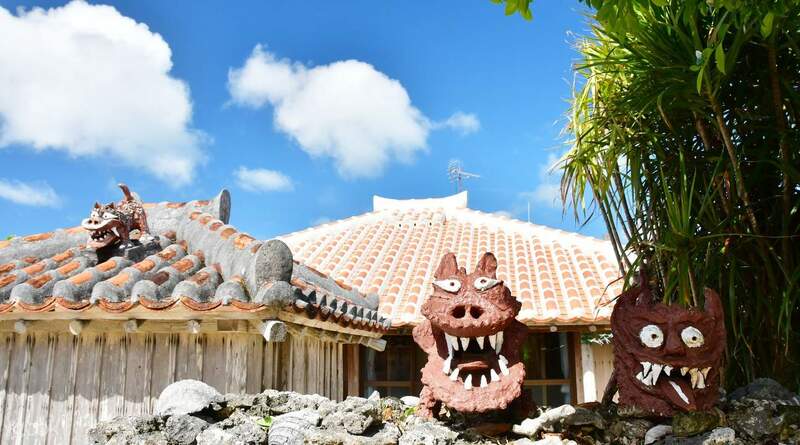 With a population of roughly 300 people, this quaint and quiet location is rustic in a way that it does not look like the other places you've been to in Okinawa. It's almost like stepping into another world and time away from the one you're so used to. On this island, see sprawling gardens filled with beautiful flowers and wooden or stone homes guarded by red painted figures. Your trip to Taketomi will begin with a departure from your meet up location, only a 10-15 minute ride from Ishigaki. 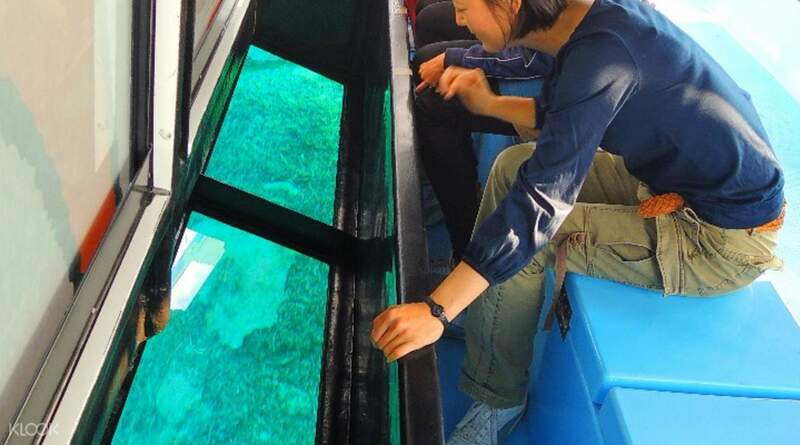 Depending on which package you'll select, begin with either a bus tour around the city or a glass bottom boat tour, where you can marvel at an underwater world below you and see various species of incredible sea life. Then, after your bus/boat tour, head to a water buffalo cart pulled by, yes, a real water buffalo! 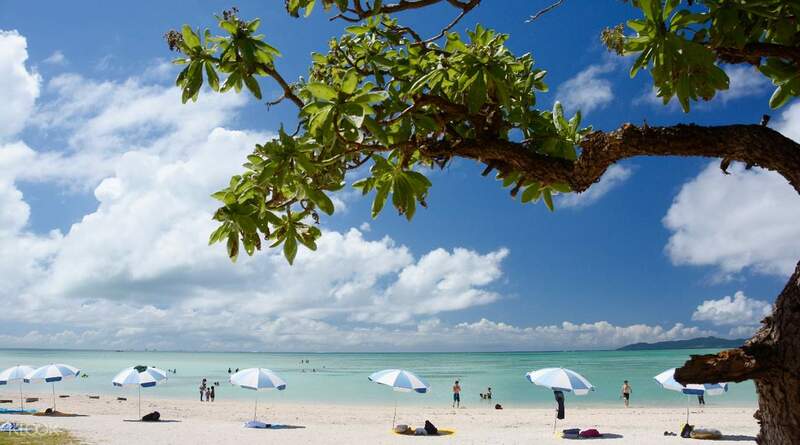 Go around Taketomi and relish the unpolluted air and preserved surroundings. You'll be given some free time of around 30-40 minutes to wander this otherworldly island on your own, wherein you can take photos of its strange and old beauty. Head to Taketomi Port where you'll be taken back to Ishigaki. Return to your accommodation on your own or opt to take the shuttle to the included drop off destinations. 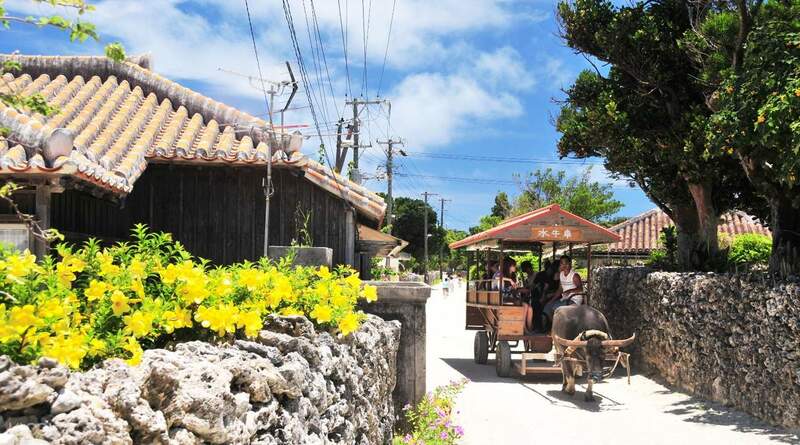 Be toured around the quaint Taketomi Island via a one-of-a-kind water buffalo cart! Amazing with local music although the bad weather. Strongly Recommend!! Amazing with local music although the bad weather. Strongly Recommend!! Very nice trip this time as rainly all the time during our vacation. Enough time for you to enjoy the trip. Very nice trip this time as rainly all the time during our vacation. Enough time for you to enjoy the trip. We joined the tour because it states in the activity description there is English audio device. However, the guide only speaks Japanese and there is no English audio device. We do not understand Japanese at all. It was boring for us. We joined the tour because it states in the activity description there is English audio device. However, the guide only speaks Japanese and there is no English audio device. We do not understand Japanese at all. It was boring for us.